Jason Strickland has over 22 years of industry experience, booking over 60 national commercials and over a dozen film and TV parts. He now has his own company “In The Light Productions” where he directs commercial and web videos for Fortune 500 companies such as Baskin Robbins and Lexus, and has just completed his second HBO movie. Now, Jason is looking to pay it forward by sharing his tips and tricks with kids in the community who want to learn about the industry. Tiffany has been with Starlight since 2002. Prior to joining the Starlight team, Tiffany grew up dancing in the Donna Swander Dance school, and performed in many children's theater productions in El Segundo. She graduated from El Segundo high school and began pursuing a degree in dance at El Camino College were she danced with the advanced dance company Oui Geometer. After transfering to Long Beach State University, Tiffany continued dancing in college and with South Bay contemporary dance company R and B Dance where she was a choreographer and an artistic director. She also cheered competitively for El Camino College for 2 years as well as coached high school cheerleading for five years in El Segundo. 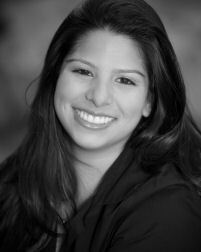 For the past two summers she has been involved in running childrens musical theater camps in San Jose, CA and choreographed for Hollywood night life dance troupes. Since joining Starlight, Tiffany has choreographed for 9 musicals and 3 seasons of Starlight Xpress as well as taught many classes at the studios. Tiffany loves the mission of Starlight Productions and hopes to help in the effort to bring performing arts to the comunity for many years to come. 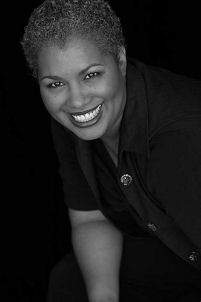 Orgena Rose, had the incredible honor of performing on Broadway in Ragtime, in Jelly's Last Jam with Savion Glover, in The Lion King workshop and many other musicals. She also sung Opera and performed with many of the great orchestras and conductors at places such as Carnegie Hall. She toured internationally, sung back up for people like Patti Labelle, performed on cruise ships and much more singing jazz, R&B, rock and gospel. She has appeared in movies, TV shows, commercials, voice-overs, written songs and produced CDs. She loves to share her amazing experience with the youth and has been teaching for over 15 years at theatres, schools and many arts organizations. She believes the arts should be fun, come from the heart and challenge us to be all that we can be. She looks forward to working with everyone at StarLight and helping you continue to shine! Nicole is a graduate of California State University Long Beach. She received a Bachelor of Arts degree in Theatre Arts. Nicole soon found her niche in costume construction and design. She also has a great interest in make-up. 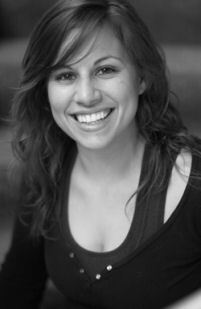 Nicole has been working with StarLight since the summer of 2003 as costume designer. She creates costumes which bring the characters to life. (lovingly known as Miss Debbie) has her B.A. in Theatre Arts Acting from Cal State Fullerton. Before transferring to CSUF, Miss Debbie was part of the very competitive Applied Music Program at El Camino College where she studied Vocal Music. 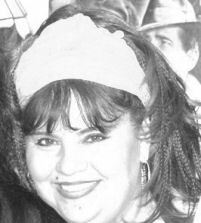 She has been teaching music and acting for seven years in Torrance and various South Bay Cities. 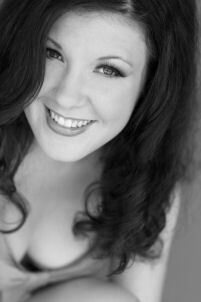 She has worked with a variety of children theatre programs and has been part of the StarLight family since 2002. Debbie's various acting credits include; Chess, Fiddler on the Roof, A Winter's Tale (which was awarded the American College theatre festival Regional Award), The Taming of theShrew, Snoopy, Loose Knit, The American Clock, The Sound of Music, & Hamlet. 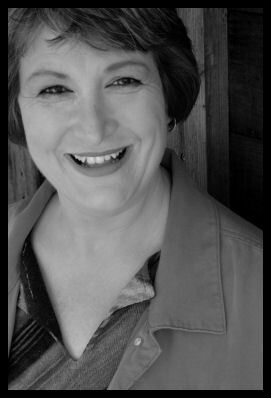 Miss Debbie has provided vocal music direction for StarLight on Bye-Bye Birdie, Annie Get Your Gun, Scrooge, Annie as well as teaching Beginning and Intermediate Acting and Singing for the Actor classes. Charley Miller has been involved with Starlight since the summer of 2000; first as a parent, then as music director. 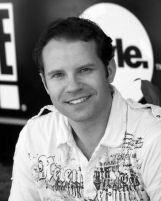 He is a graduate of Biola University, and has also studied music at Oklahoma Baptist University and California State University, Dominguez Hills, with emphasis in keyboard and arranging. When not busy with Starlight, he is the music instructor for Peninsula Heritage School in Rolling Hills, as well as a private piano instructor in Torrance. He has worked seasonally with Mattel Corporation as choral director for 18 years, and occasionally performs as a solo pianist or with a jazz ensemble throughout the South Bay area. Cindy’s 30+ years of performing has included stage, television, commercials, voice-over and stand-up. She was also known as the “Game Show Queen” for a while due to successful “stints” on $25,000 Pyramid and Super Password (cha-ching!) Cindy has performed across the country and has loved working closer to her home and family in Torrance, Long Beach, Anaheim and Solvang. She is proud of her association with the Torrance Theater Company, Brain Brew Entertainment, and 3M Productions and it’s murder mysteries (voted “funniest”in L.A.) While musical theater is Cindy’s passion, she has recently ventured into stand-up as part of Long Beach Playhouse’s Clean Comedy Showcase, as well as writing and performing original works throughout the South Bay (hopefully to be published in the near future!) Her cherished family, all accomplished actors and entertainers themselves, were the proud recipients of the City of Torrance’s Excellence in Arts Award for Drama in 2007. Ongoing training includes The Groundlings, Dee Wallace Stone, Wendell Burton, Daphne Kirby, The Voiceover Connection and CSU Dominguez Hills. Cindy’s association with StarLight began as a parent whose children blossomed (and continue to!) under its incredible, professional productions and classes. She was grateful for opportunities to occasionally choreograph (including the recent “debut” of the Little Starlets~ StarLight’s youngest up and coming stars!) and is thrilled and humbled to be part of StarLight’s incredible team of teachers! StarLight is all about family, and creating a fun, safe, nurturing environment of the highest standards to bring out your child’s best. With that happy goal in mind, Cindy excitedly welcomes you to the family! Jen is currently a Senior at Cal State Fullerton and will be graduating this semester with a Bachelors Degree in Technical Production and Design, with a combined emphasis in Stage Management and Lighting Design.. Before transferring to CSUF, she graduated from El Camino College with an Associate of Science Degree in Theatre. She has been with StarLight Productions for a little over three years and has enjoyed the time spent with all of the fun loving-kids and the incredible staff. Fred holds a masters degree in Theatre Communication from New York University. 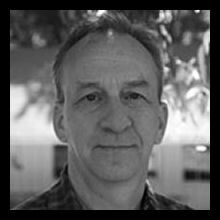 He was Artistic Director for the Gene Frankel Theatre, an Equity showcase theatre in NYC. In addition to teaching theatre and film acting, Mr. Fuster supervised 15 theatrical productions each season. He has taught acting at American Musical and Dramatic Academy at The Gardner Stages and privately. An award-winning film maker, Mr. Fuster has written and directed film and television. He has taught Narrative Film making at his Alma Mater, NYU. Mr. Fuster is known for challenging students in creative ways accepting only excellence.